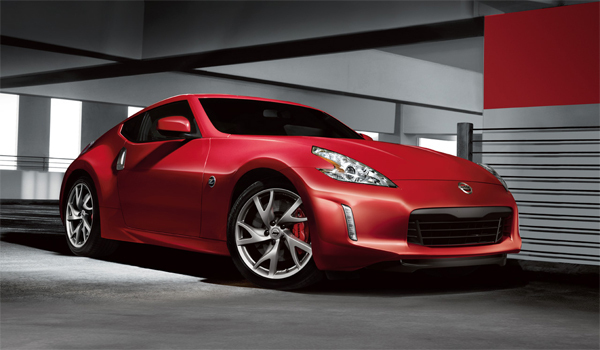 Once again Nissan proved itself one of the best vehicle manufacturer with the launch of 2013 Nissan NISMO 370 Z Coupe. Nissan has produced it with the collaboration of Autech Japan and you will be surprised to read that it is a limited edition model. You must consider it if you are passionate fan of sports cars because this model will provide you several edges along with some new features which were missing in previous model. Brand New Red Finishing Caliper. Nissan has used Special R35 brake fluid in this new Coupe. Gun Metallic Finishing has enhanced the beauty of Wheels. Bose Stereo System with 6 speakers. Magma Red is added in available exterior colors. 2013 Nissan NISMO 370Z Coupe is powered by 3.7L DOHC V6 engine; high tech features like Variable Valve Event and Lift Control improve the performance and efficiency of its engine. Moreover H-Configured Exhaust System improves the power and acceleration of engine. All these elements combine and help this Coupe to produce 350hp and torque of 276 lb-ft.
6-speed manual transmission is standard on all the models. Exterior of this new and improved Coupe is very innovative and stylish. Nissan knows the importance of aerodynamics that’s why it has used aerodynamic body structure and it has played a significant role in reduction of front noise especially at high speed. Interior of this brand new 2013Nissan NISMO Coupe 370Z Coupe is extremely comfortable and offers full time convenience. Nissan has used Black and red fabric in the seats with printed logo of NISMO, seats of this Coupe has been designed keeping in mind the comfort of passenger and driver.